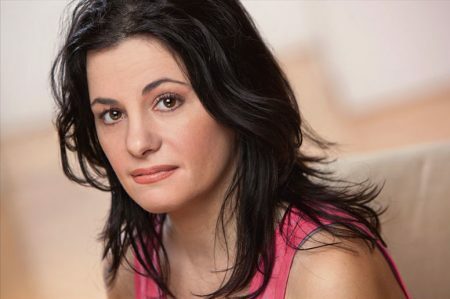 Writer/actress Natalie Menna has consistently written plays that resonate deeply with audiences long after they’ve ended, much like a favorite song or painting that stays in mind. She’s racked up awards such as “Best Solo Show” (The Nettie Awards), and “Outstanding Actress” (MITF) and her latest play about Theo van Gogh, Committed, garnered an “Outstanding Overall Production of a Play” award as well as six other nominations. 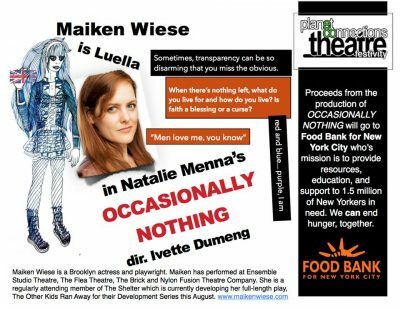 All of this means you should be following her on social media and catching her plays: @NatalieMenna and NatalieMenna.com. You won’t be disappointed. 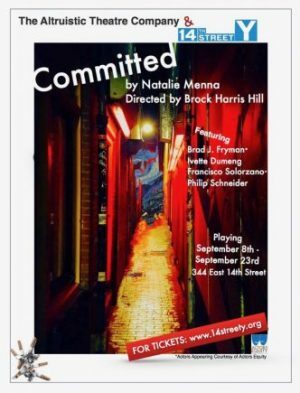 Menna’s latest play, Committed, is a fulsome treat that’s worth seeing more than once. The story of Theo van Gogh’s last two days in Amsterdam and his untimely death at the hands of a religious extremist, the play presents him as a provocateur willing to die for his right to free speech. It offers an admirably broad spectrum of perspectives: a gay Muslim man, a journalist and her role, Theo’s teen son who is bullied at school — and provides insight into Theo van Gogh’s irascible and complex character. There isn’t a dull moment, which is a tribute to Menna’s writing and the talented cast: Brad J. Fryman as Theo, Ivette Dumeng as the journalist, Francisco Solorzano as Theo’s Muslim friend and co-worker, and Philip Scheider as his son. 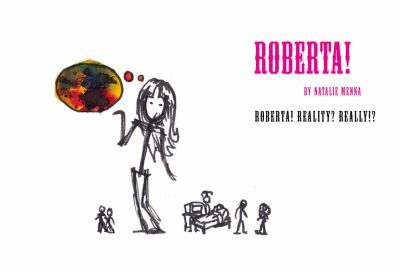 Menna is equally adept at comedy, having presented and won awards for Zen A.M., Roberta!, I-Pod, Hiroshi – Me, Me, Me, Montana, and Occasionally Nothing. Be sure to follow her, for she will lead you to great theatrical productions, laughter, tears, and remarkable insight.